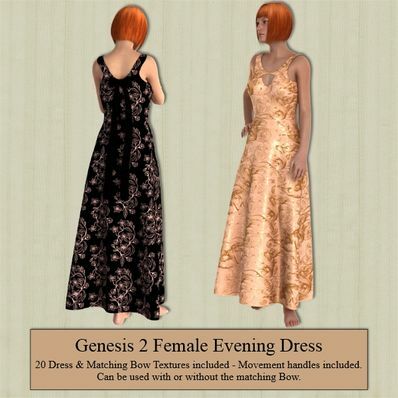 An Evening Dress for G2Female for use in Daz Studio 4.6. Thank You for letting us use these! New to Daz so thanks for letting me use some of your stuff to add to my content.